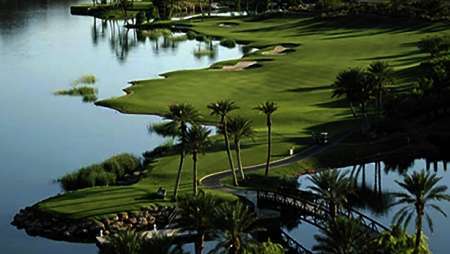 Considered one of the most scenic and enjoyable golf experiences in Las Vegas, Reflection Bay Golf Club is located just 17 miles from the Las Vegas strip in the luxurious high end resort residential community of Lake Las Vegas. Reflection Bay Golf Club is designated as a prestigious Jack Nicklaus Signature Design course, the only such course located in the state of Nevada. With 5 golf holes situated directly on the lake, make sure to bring your camera to capture the breathtaking layout and challenging design. The facility also features a private beach club with stand-up paddle boarding, kayaks, electric boats and other fun outdoor activities for the whole family to enjoy while you play your round. Reflection Bay Golf Club has hosted the Wendy’s 3 Tour Challenge PGA event several times and has been the recipient of some of the most sought after awards including the TOP 100 Course ratings by both Golf Magazine and Golf Digest. 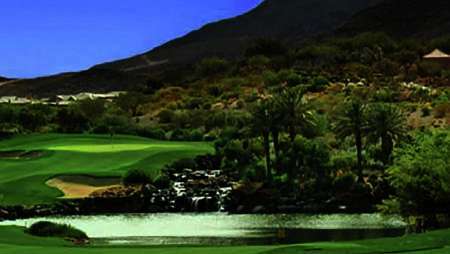 Located in the McCullough Mountains, high above the Las Vegas Valley floor, DragonRidge is a unique Country Club that offers features unsurpassed in Southern Nevada. DragonRidge complements the impressive portfolios of noted golf course architects Jay Morrish and David Druzisky. Between them, the two have built other well-known facilities such as Troon North and the TPC Stadium Course in Scottsdale, Arizona, Forest Highlands in Flagstaff, Arizona, the Reserve in Palm Springs, and many others. At DragonRidge, Morrish and Druzisky have designed a true "Members Course" that is challenging for all skill levels. With unobstructed views of the entire valley, DragonRidge consists of an 18-hole, par 72 layout that stretches to 6,975 yards. With the innovative use of natural hillsides and canyons, the topography that makes up DragonRidge and the entire MacDonald Highlands community, is simply breathtaking.